What Would It Take for Trump-Loving Louisiana Voters to Elect a Democrat to the Senate? 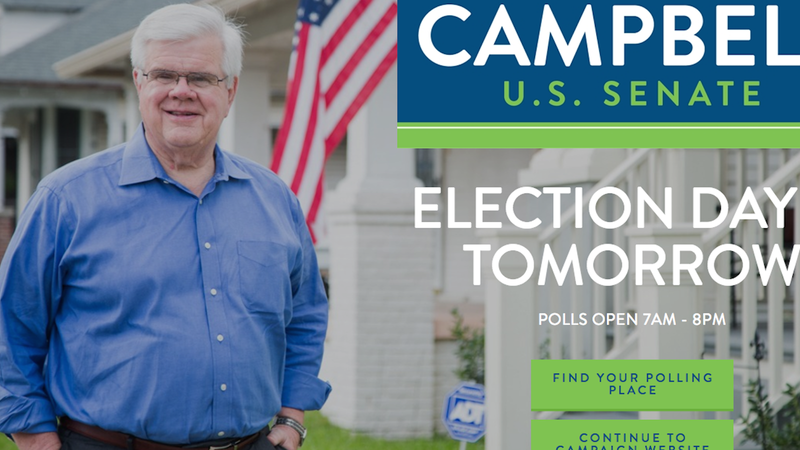 Tomorrow, Louisiana Public Service Commissioner Foster Campbell, a gun-totin’ pro-life economic populist who’s been billed as the Democrats’ last hope, will vie against Republican State Treasurer John Kennedy for a seat in the Senate in Louisiana’s runoff election. In the unlikely event of Campbell’s win, Senate Republicans would be knocked down to an extremely slim 51-49 majority, giving Democrats a boost in the apparently uphill battle to keep our democracy intact. In Louisiana, what’s known as a jungle primary system requires all candidates from all parties compete against each other on November 8—you might recall that one of Campbell’s opponents was David Duke, who eventually received only three percent of the vote and spent an earlier debate shrieking about Jews—and the top two contenders, Campbell (with 17.5 percent of the vote) and Kennedy (with 25 percent of the vote), compete in a runoff a month later. Trump’s shocking ascent has called any and all conventional political wisdom, including polling, into question, and Democrats around the country have rallied behind Campbell with fundraisers and phone banking efforts despite the fact that he’s polling double-digits behind his well-liked opponent. Why can’t Democrats win a long-shot race, too? And hey—maybe! If you’re a Democrat in Louisiana, it is absolutely imperative that you vote tomorrow! But the messaging challenges faced by Foster Campbell’s campaign in some ways mirror issues the Democratic party is going to need to confront, particularly in red and purple states: how do you win back angry white voters without losing your base? Campbell, 69, is a former state senator and was elected to the Public Service Commission in 2002. He takes a folksy, common-sense stance on environmental issues, insisting that the state’s oil and gas industry take financial responsibility for the restoration of Louisiana’s wetlands: “If you tear something up, put it back,” he told the Times-Picayune last month. Running in the age of Trump, Campbell has tried to find common ground with the average Louisiana voter, most of whom voted for Trump. He said he would support Trump’s call for term limits on Congress. He favors a 10-year ban on former members and top staffers becoming lobbyists. He is anti-abortion and reticent to support gun control measures. And he has channeled an anti-Washington sentiment similar to Kennedy’s. But Campbell also favors raising the minimum wage and ensuring women are paid equal to men for doing the same jobs. He supports Obamacare, though he says it’s in need of legislative repair. He considers climate change a man-made phenomenon in need of intervention, earning him the endorsements of environmental groups. President-elect Donald Trump’s appearance on Kennedy’s behalf at a “get out the vote” rally in Baton Rouge today, as well as Mike Pence’s cameo at a local rally last week, underlines the air of impossibility coloring Campbell’s position—there are no equivalent Democratic figures whose star power would help his campaign in the way that Trump is helping Kennedy, because the Democratic brand in Louisiana is fairly toxic right now. A last-minute outpouring of support from frantic Democrats gave Campbell a huge fundraising boost, to the tune of $2.5 million (significantly more than Kennedy’s $1.6 million haul). But this doesn’t change the fundamental issue that Campbell is running as a Democrat in a deep-red state, one that that elected Trump by 20 points and tends to only pick Democrats—such as, for example, Louisiana’s Democratic Governor John Bel Edwards—when their Republican opponents are somehow damaged (by, say, a prostitution scandal and an epically terrible predecessor). It’s possible, although is not by any means certain, that Louisiana Republicans will eventually realize they’ve been conned within an inch of their lives by Donald Trump—but would that automatically turn them against other Republican candidates? “I don’t think they will turn on the party specifically, I think they might turn on Donald Trump,” Cross told Jezebel in a follow-up conversation. But people don’t take lightly the decision to support the opposing team.